Ablative procedures are well.established procedures for medically refractory patients with essential tremor, and for PD patients with asymmetrical dominant tremor or dyskinesias. This is especially because many patients do not have access to the facility of neurostimulation due to economic reasons, lack of facilities and expertise. The frequent change of the internal pulse generator required in deep brain stimulation is also very expensive for most patients, and therefore, limits its wider acceptability. However, the irreversible nature of complications and the inability to offer bilateral procedures as the standard of care, acts a deterrent to the universal use of lesional surgery in movement disorders. Th year 2017 marks the bicentennial anniversary of the James Parkinson's article on shaking palsy and 70 years since the birth of human stereotactic surgery. Spiegel and Wycis introduced the use of landmarks in the brain and conceptualised the procedure of pallidotomy. Interest in lesional surgery was revived with reintroduction of Leksell's pallidotomy for the treatment of Parkinson's disease in 1992 by Laitinen. Various imaging protocols that permit better identification of the brain structures and better understanding of targeting methods have made movement disorder surgery popular. Considering the problems of levodopa induced dyskinesias and motor fluctuations, surgical solutions provide hope to the patients and treating physicians. Despite the rapid strides in neurostimulation, lesioning continues to remain a one-stage solution to amelioration of symptoms in movement disorders. Stereotactic surgery began with the Horsley-Clarke apparatus, which had been used in animal research since 1908. Spiegel and Wycis devised a stereoencephalotome  for human use, which was an adaptation of the Horsley- Clarke apparatus. Using pneumoencephalogram for imaging, they performed lesioning using a needle electrode for mental disorders, pain, movement disorders, epilepsy. Using the stereotactic apparatus, they also injected radioactive substances into brain tumours. Soon, pallidotomy was adopted worldwide, and its main indication became Parkinson's disease (PD). In 1952, Cooper inadvertently interrupted the anterior choroidal artery leading to an infarct in the globus pallidus in a patient with Parkinson's disease. The patient's tremor resolved with no additional deficit. This encouraged the physicians to initiate the practice of alcohol injection into this area. Further lesions in the thalamus more reliably abolished tremor and gave a quantifiable response, thereby popularising the ventrointermediate (Vim) nucleus of the thalamus as the target. By the late 1950s, Vim nucleus had become the preferred target. The movement disorder surgery practice had to take the back seat with the availability of levodopa in the early 1970s and the introduction of levodopa/carbidopa combination, making surgery dormant for almost a decade. As the side effects of levodopa started to manifest, surgical options started getting re-explored. Pallidotomy started getting popular again and its resurgence got a boost following the publication of the landmark paper 'Revisiting the Leksell's Pallidotomy' by Laitinen. The benefits of the procedure encouraged many surgeons to use this procedure efficaciously in alleviating dopa induced dyskinesias. However, limitations and complications were noted with bilateral pallidotomy necessitating the emergence of neurostimulation. Essential tremor and Parkinsonian tremor have shown very good response to stereotactic ablation of the Vim nucleus of the thalamus. Tremors of various etiologies such as parkinsonian tremor, essential tremor, cerebellar tremor and post-traumatic tremor reportedly benefited from Vim thalamotomy.. The role of thalamotomy in alleviating tremor across a spectrum of etiologies, in the midst of the popularity of deep brain stimulation (DBS) amongst the Indian patients was highlighted by Dwarakanath et al. Tremor with pyramidal or sensory deficits and titubation, however, do not show improvement following the procedure. Apart from the therapeutic response in alleviating tremor, lesioning for Parkinson's disease depends on the clinical response of the patient to levodopa therapy. An accurately placed lesion in the thalamus or posteroventral pallidum provides reliable and lasting suppression of tremor and dyskinesias respectively, with no adverse effects. Although the benefits of pallidotomy have been highlighted in Laitinen's publication, not all the symptoms are ameliorated utilising the procedure. Tremor is easy to measure, but it is difficult to quantify a reduction in rigidity, freezing, and bradykinesia. Bilateral lesioning is invariably associated with adverse bulbar effects, even when the lesions have been well placed and, therefore, deep brain stimulation continues to be the treatment of choice in most cases. The best candidates for surgical treatment in PD are patients with levodopa-responsive parkinsonism who are free of significant dementia or psychiatric comorbidities. In contrast, patients with atypical parkinsonism or dementia show little or no benefit. Parkinson's disease has both positive and negative symptoms. Positive symptoms, such as tremor and rigidity, are due to disinhibition of facilitatory centers. Posterior ventral pallidotomy results in the interruption of hyperactive inhibitory output from the pallidum to the brain stem locomotor centers; or, the excessive striatal input resulting in increased inhibitory output from the pallidum is reduced by posterior ventral pallidotomy. Negative symptoms such as bradykinesia and festinant gait, result from an excessive excitatory drive from the subthalamic nucleus to the globus pallidus interna, which leads to an enhanced excitatory activity in the pallidum and, in turn, leads to an excessive inhibition of the ventrolateral thalamus. Lesions in the pallidum, therefore, reduce the hyperactivity in the pallidum, decrease inhibition of the ventrolateral thalamus, and reduce bradykinesia. High frequency deep brain stimulation simulates the benefits of lesioning and produces effective results. The mechanisms hypothesised include depolarisation blockade, synaptic inhibition, synaptic depression, and stimulation-induced modulation of pathological network activity. Analysis using functional imaging, neurochemistry, neural recording, and neural modelling experiments suggest that stimulation-induced modulation of the pathological network activity is the likely mechanism responsible for inducing clinical benefits in the patients. Thalamotomy and pallidotomy for generalised dystonia have been replaced by pallidal stimulation. While there are no controlled studies evaluating the effectiveness of pallidotomy for dystonia, case studies and small series have demonstrated the efficacy of this procedure., Bilateral pallidotomy has potential for alleviating irreversible dysarthria. However, there may still be a role for pallidotomy in individual cases in whom infection or hardware-related complications have occurred following the instillation of DBS instrumentation, and also in patients who cannot afford the DBS device. Other unusual indications which have been treated with pallidal lesioning are primary writing tremor, embouchure dystonia, drummer's dystonia, and paroxysmal dyskinesias. The two most common lesional procedures performed are thalamotomy and pallidotomy, in which lesions are created in the ventroimtermediate (Vim) part of the ventral lateral thalamic nucleus (VL) and the internal segment of the globus pallidus (GPi), respectively. The ventrointermediate nucleus of the thalamus is almost unanimously considered as the best target for tremor suppression, with excellent short- and long-term results in 80-90% of patients with PD. It has little effect on bradykinesia, rigidity, motor fluctuations, or dyskinesia. Hyperactive excitatory projections of the subthalamic nucleus to the globus pallidus interna are physiological features of Parkinson's disease. Although lesioning the subthalamic nucleus usually has been avoided because of concerns of hemiballism, studies suggest that subthalamotomy may be performed safely. Unilateral subthalamotomy in the dorsolateral part of the subthalamus as an alternative to thalamotomy, pallidotomy and unilateral subthalamic nucleus stimulation for asymmetric tremor dominant Parkinson's disease has been shown to be particularly effective. Targeting can be done by indirect targeting using the positions of the anterior commissure and posterior commissure, by direct targeting or by using the red nucleus as an internal landmark. Benabid et al., described their methodology of indirect calculation after delineation of the midline of the third ventricle and of the anterior and posterior commissures, using the estimation of the Vim nucleus and the STN, initially derived from the stereotactic atlases of Schaltenbrand and Wahren  and Talairach et al., [Table 2]. The paper describes the average dimensions of the third ventricle on a sample size of 153 patients [Table 3]. Table 2: The localisation of target nuclei based upon the criteria of Benabid et al. The indirect targeting was based on ventriculography but with the combination of magnetic resonance imaging (MRI) and computed tomography (CT) scan, the distortion is minimised, largely replacing the use of ventriculography. Softwares allowing for image fusion permit the best of MRI and CT visualisation. MRI protocols allow for excellent visualisation of the subthalamic nucleus, red nucleus and the basal ganglia. Methods have evolved with better visualisation of the nuclei on the MRI, thus allowing direct targeting in cases, where the targets are the subthalamic nucleus (STN) and the globus pallidus interna (GPi). However targets such as the ventrointermediate (Vim) nucleus are not visualised for direct targeting. The STN is imaged using standard T2 weighted sequences in the axial and the coronal planes. Additional T1 weighted images covering the entire brain for navigational purposes are also acquired. STN is visualised as a small, hypointense, almond-shaped structure in the three planes located lateral to the anterior edge of the red nucleus, medial to the internal capsule. A 1.5 Tesla MRI shows the hypointense signal intensity located lateral to the red nucleus and dorsolateral to the substantia nigra, correlating with the presence of iron, and corresponding anatomically to the STN. Red nucleus (RN) is well visualised on the standard T2 weighted images and can be used as an internal marker. Lozano's team compared the targeting methods, measuring the distance between the optimal contact and the target chosen on the MRI. They concluded that RN, as an internal marker, provided an internal landmark for targeting of the optimal regions of the subthalamic nucleus; its position, therefore, closely approximated with the position of the electrode contact that provided the optimal clinical results. The GPi is visualised by using the turbo spin-echo proton density sequences, contiguous axial scanning. The pallidocapsular border, the medial putaminal border, the optic tract, as well as boundaries of globus pallidus internus, globus pallidus externus, and lamina medullaris interna are clearly visualised in most of the cases. Radiological targeting can be verified by identifying the nucleus on the basis of their electrophysiologic properties. Spontaneous activity and also the neuronal response to passive and active movements can be recorded. Physiological localisation has been carried out by stimulation using a macroelectrode, semi-microelectrode or a microelectrode (impedance <1000 ohms), or by stimulation and recording using a semi-microelectrode (impedance <100 K ohms) or a microelectrode. The ventral intermediate (Vim) nucleus and the adjacent nuclei show a characteristic pattern of neural activity. Sensory cells responding to sensory stimulation in small, well defined, receptive fields are found in the ventral caudal nucleus posterior to the Vim. In the Vim, cells are driven by proprioceptive inflow coming from a specific peripheral region. They react during the voluntary movement of the same region. In the Vim and the ventral oral posterior (Vop) nuclei, thalamic neuronal firing is correlated with active and passive joint movements., The movement-related activity of most cells in Vim is related to the execution of particular movements and the activity responds to both active movement and to sensory stimulation, such as joint movement. The trajectory to the STN encounters striatal cells, characterised by broad action potentials and a slow firing rate. As the recording electrode pathway enters the thalamus, the action potential becomes narrower, occurring in bursts. 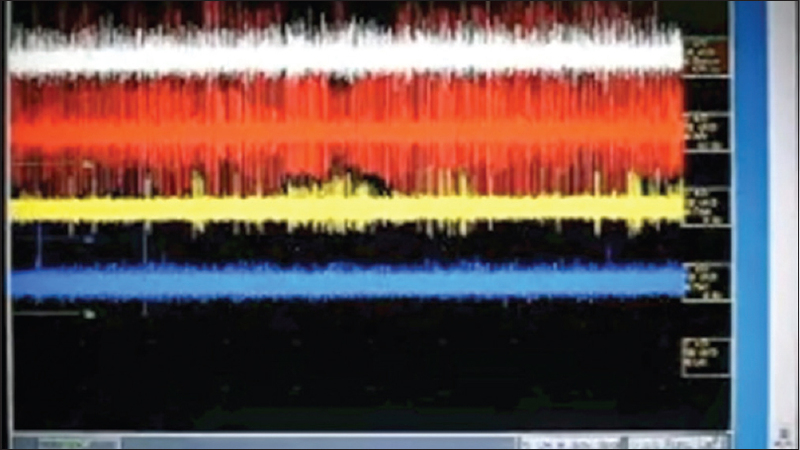 The STN is characterised by multiple spike trains recorded from closely packed neurons. The trajectory to the Gpi, passes through the striatum, globus pallidum externa (GPe) and the GPi; each having a characteristic firing pattern. After the striatum, recording electrode passes through the GPe, which has the typical 'pause and burst' firing pattern. As the trajectory enters the Gpi, continuous burst pattern is noted as the cells in GPi fire at a high frequency rate , [Figure 1] and [Figure 2]. The role of microelectrode recording and stimulation as an aid in target localisation during the DBS implantation remains an area of debate, even if it is widely used. Microelectrode recording has led to a change in the final location for placement of electrodes. Coubes et al., have reported the use of three-dimensional MRI acquisition for the accurate placement of DBS electrodes without neurophysiological localisation, allowing for an easy execution of the procedure under general anesthesia in children suffering from dystonia. Microelectrode recordings led to a change in the final location of the lesion in almost 70% cases in one study, while the location was 5mm off the target in 25% of the cases, and within 3 mm in the remaining 75% of cases. MRI compatible stereotactic frame is affixed to the cranial vault, and placed symmetrically to avoid rotation or tilt. MRI images may be acquired the previous day allowing the target to be chosen and a rough trajectory planned. CT images are acquired with the frame in place. The MRI and the stereotactic CT images are then fused. A contrast study permits a good visualisation of the blood vessels of the brain aiding in the choice of the trajectory. The burr hole is placed in the frontal bone in proximity to the coronal suture. The idea is to traverse the length of the target nucleus chosen. Microelectrode recordings and macrostimulation can be used to delineate the optimal lesion. Various nomenclatures have been used to describe the nuclei. The most widely used are the Anglo-American terminology and the Hassler terminology. In the Anglo-American terminology, the ventro-lateral nuclei are divided from the anterior to the posterior direction into the ventralis anterior (VA), ventralis lateralis (VL), and ventralis posterior (VP) parts. In the Hassler terminology, the same nuclei are divided into the lateral polaris (LPO), ventralis oralis anterior (VOA), ventralis oralis posterior (VOP), ventralis intermedius (VIM) and ventralis caudalis (VC) parts. The posterior portion of the VL nucleus in the Anglo-American terminology corresponds to the Vop and Vim of the Hassler terminology, while the VP nucleus is essentially the same as the VC nucleus. The typical thalamotomy target is the Vim nucleus and the mere introduction of the electrode may reduce the tremor, indicating that the electrode is in good position. The goal is to place a lesion within the Vim nucleus, directly anterior to the appropriate somatotopic area in VC and medial to the internal capsule without encroaching on either of the structures., There is a clear medial-to-lateral somatotopy within the VC nucleus, with neurons representing the face being most medial, the neurons representing hand and upper extremity being intermediate, and, the lower extremity neurons being the most lateral. The thorough understanding of this somatotopy allows the proper execution of lesion placement. A test lesion is made at 45 degree Celsius, for 60 secs. The patient is monitored for improvement and for the development of complications. Once a satisfactory position has been determined, a permanent lesion is made at 75 degree celsius, for 60 secs. Typically, the lesion size is approximately 200cmm, which shrinks over a period of time. Bilateral thalamotomies are generally associated with a high complication rate, with increased risks of dysarthria and cognitive impairment. The lesion size is smaller when executed bilaterally, and is typically around 100-150cmm on either side. Whenever necessary, the lesioning should be staged, so that the procedures on either side are carried out at an interval of 3-6 months, possibly using different targets [Figure 3]. When performing a pallidotomy, the target is in close proximity to the optic tract and the internal capsule. The proximity to the internal capsule and the optic tract is tested by alternate high and low frequency stimulation. At the target position, the optimal motor and visual threshold should be at least 2-3volts to avoid injury to the internal capsule and the optic tract. Thresholds which are considerably lower than mentioned above, suggest that the electrode is too close to the internal capsule and may need to be moved anteriorly or laterally. High frequency stimulation usually causes an improvement in the contralateral rigidity and bradykinesia, which can be assessed intraoperatively by using tasks such as finger tapping, rapid pronation/supination of the forearm, and toe tapping. On occasions, high frequency stimulation may elicit dyskinesias, predicting a successful outcome. The potential problems in the speech output and its discrimination are also assessed during high frequency stimulation by asking the patient to repeat several complex phrases and noting any difficulties. Within 2 mm of the target, visual thresholds should be checked by turning off the room lights and asking the patient to report if he/she sees any flashing lights as the voltage is rapidly increased and decreased with the high frequency stimulation. The classical response is a perception of flashing lights or phosphenes in the contralateral visual field. At the optimal target, visual thresholds are usually between 2-3 volts. Higher values suggest that the electrode is too dorsal and away from the actual site where the lesion is to be actually performed, while lower values indicate that the electrode is too ventral and close to the optic tract. A test lesion is generated followed by a permanent lesion, if there is no evidence of impairment detected. Additional lesions are made at 2 mm and 4 mm above the target. Typically, the lesion size is 200 cmm, which shrinks over a period of time. Bilateral pallidotomy is still a contentious issue with variable reports. Laitinen's original report had four patients undergoing bilateral pallidotomies without there being any apparent detectable problems. Some centres have experienced major and devastating complications from bilateral pallidotomies and are extremely reluctant to recommend it. The lesion size is smaller when bilateral lesions are performed. The procedure can be staged when necessary [Figure 4]. Subthalamotomy as a lesioning procedure is a viable option; however, the STN is a relatively small nucleus. Targeting is preferably in the dorsolateral STN. Unilateral subthalamotomy has been reported as a safe and effective alternative to a thalamotomy, pallidotomy and unilateral STN DBS for the treatment of asymmetrical tremor-dominant advanced Parkinson's disease. Lesioning surgery shares the same general risks as may occur in other stereotactic procedures. These include haemorrhage and infection. Specific complications are related to the placement of the leads and the size of the lesion. DBS has an advantage over the lesioning procedures in providing reversibility to stimulation-induced complications. Lesioning can be offered as the first line of treatment for medically refractory patients with essential tremor and in PD patients with asymmetric dominant tremor or dyskinesias. Its simplicity, cost effectiveness, ease of delivery, and the lack of hardware makes it a very attractive modality of treatment for movement disorders. Lesioning should be considered as a potential option in some patients under certain special clinical circumstances. In the developing world, a large population does not have access to neurostimulation due to economic reasons, lack of facilities or due to the prevalent impracticalities in the regular monitoring required for these cases. Cases who have a cardiac pacemaker inserted or have a previously infected implant can undergo lesioning as a rescue measure., A lesion can be created using the same DBS electrode if it is well placed and has yielded good clinical results. Long-term hardware-related complications may occur  and a frequent change of internal pulse generators is required in a significant number of patients who have undergone the DBS procedure, possibly justifying the importance of lesioning surgery in the days of neurostimulation. Various methods for creating a lesion have been used. These include a radiofrequency lesion generator, laser ablation system, Gamma knife (GK) radiosurgery, and MRI guided focused ultrasound. After anatomical localisation of the target, neurophysiological monitoring is possible only with the concurrent usage of radiofrequency lesion generator or laser ablation. GK radiosurgery and focused ultrasound techniques do not permit the simultaneous conduction of microelectrode recordings, although neurological monitoring and placement of a test lesion are feasible using the focused ultrasound technique. The use of radiofrequency power generator was an evolution of electrical engineering with a desire to make a lesion of predetermined size at a precise location. The current radiofrequency generators deliver both thermal and pulsed radiofrequency output. These have operational features to monitor tissue impedance, and to stimulate and create a lesion using power and pulsed radiofrequency. The Cosman radiofrequency generator and Leksell neurogenerator are the ones commonly in use. Radiosurgical lesioning of either of the targets is achieved by delivering 130-140Gy using a 4mm collimator. The gamma knife (GK) radiosurgical lesion is created without neurophysiological monitoring and has the risk of delayed and unpredictable effects. The first GK unit, designed in 1967, was intended for lesion generation in functional neurosurgery. In the recent years, the GK unit has been used to treat a variety of disorders including movement disorders. GK thalamotomy targets the ventralis intermedius nucleus (Vim) of the thalamus, and is used in treating essential tremors, Parkinsonian-associated tremors, and other types of tremors., Young et al., analysed 161 patients with essential tremor who underwent GK thalamotomy. 81% of patients showed improvement in the drawing score, and 77% showed improvement in the writing score, within a mean follow up period of 44 months. Kondziolka et al., studied 31 patients and reported improvement in 69% of the cases. The predominant improvement occurred in their writing score and in the subsidence of their action tremor. Complications such as persistent edema, hemiparesis and speech difficulties were noted. Niranjan et al., compared the thalamotomy outcomes made by the various lesioning modalities of RF, DBS and GK. Of the twelve patients who underwent GK thalamotomy, 10 had an excellent relief and 2 had a partial relief. These results were comparable to other modalities, proving evidence of its safety and efficacy. GK pallidotomy targets the GPi, and is used to treat bradykinesia, rigidity, and dyskinesia. The results of GK pallidotomy are debated in contrast to the good results noted with GK thalamotomy. While Duma et al., reported transient improvement in only 33% cases, 17% showed no change, while 50% actually worsened, Young et al., reported favourable results in 86.6% of the patients with dyskinesias, and in 65.5% of the patients with bradykinesia and rigidity, when they were treated with GK pallidotomy. A feasibility study of GK subthalamotomy for Parkinson's disease was recently reported at the 21st International Congress of the Movement Disorder Society, 2017. Apart from a significant decrease in dyskinesias, the patients did not improve following STN gamma knife, and several of them also experienced adverse effects. Similar to the effects of GK lesioning, magnetic resonance guided focused ultrasound (MRgFUS) is an incision-less surgery for creating a lesion. Unlike GK thalamotomy, it shows an immediate benefit and has no delayed side effects. Multiple studies have reported its feasibility in the treatment of essential and non-essential tremors., In the largest randomised trial done so far, tremor reduction ranged from -20% to +88%; furthermore, the study reported a degradation in the tremor control by nearly 23% at a one year follow up. The postulated reasons for this phenomenon have been brain healing or tremor progression. MRgFUS thalamotomy is created without the simultaneous performance of neurophysiological monitoring. On the other hand, in RF thalamotomy or the DBS procedure, neurophysiological monitoring is simultaneously feasible and is of immense use in guiding the procedure. A test lesion can, however, be created during the MRgFUS thalamotomy procedure using a low intensity focused ultrasound. Given the fact that no lesional surgery can be nonablative, DBS may be the safest option available. Certain concepts regarding MFgFUS are still uncertain. The actual effects produced by the procedure and the associated risk of haemorrhage, particularly in patients with a coagulopathy or in those patients who are on anticoagulants have still not been well-determined. MRgFUS cannot be used when the patient has a cardiac pacemaker or when an MRI is contraindicated; it is also contraindicated in patients who have already undergone a previous brain surgery. The delivery of energy is influenced by the thickness of the skull and the site of placement of the target. MRgFUS is not possible in cases with an increased skull thickness; and, the energy delivered is less predictable when the target is not in the central areas of the brain. Its application and possible adverse effects are unknown, especially while producing bilateral lesions. Moreover, an uncertainty persists regarding the repeating of surgery at the same or different targets, while ensuring that no additional adverse effects are produced. Currently, the United States Food and Drug Administration has provided approval for the utilisation of MRgFUS in performing a thalamotomy for refractory unilateral essential tremor. Stereotactic brain lesioning has been used for decades and is a well-established as well as an effective treatment for patients with medically refractory essential tremors, and for PD patients with asymmetrical dominant tremors or dyskinesias. The medical community's attention has shifted towards DBS since the latter became the standard of care. With the advent of less invasive and incision-less methods, ablative procedures are currently seeing a revival. Large populations across the world do not have access to neurostimulation due to economic reasons, lack of facilities and expertise. The population in India and the developing world has a wide spectrum of economic disparity, with a significant divide related to affordable health care and the expertise required to deliver it. The frequent change of the internal pulse generator required in DBS is impractical and economically forbidding. Problems such as the irreversible nature of complications and the inability to offer bilateral procedures as the standard of care, limits the popularity of lesional surgery in movement disorders. Spiegel EA, Wycis HT, Freed H. Stereoencephalotomy in thalamotomy and related procedures. J Am Med Assoc1952;148:446-51. Laitinen LV, Bergenheim AT, Hariz MI. Leksell's posteroventral pallidotomy in the treatment of Parkinson's disease. J Neurosurg 1992;76:53-61. Jankovic J, Cardoso F, Grossman RG, Hamilton WJ. Outcome after stereotactic thalamotomy for parkinsonian, essential, and other types of tremor. Neurosurgery 1995;37:680-7. Dwarakanath S, Zafar A, Yadav R, Arivazhagan A, Netravathi M, Sampath S, et al. Does lesioning surgery have a role in the management of multietiological tremor in the era of deep brain stimulation?. Clin Neurol Neurosurg 2014;125:131-6. Laitinen LV. Pallidotomy for Parkinson's disease. Neurosurg Clin of N Am 1995;6:105-12. Wichmann T, DeLong M. Deep brain stimulation for neurologic and neuropsychiatric disorders. Neuron 2006; 52:197-204. Kelly PJ. Pallidotomy in Parkinson's Disease. Editorial Comment. Neurosurgery 1995;36:1154-7. McIntyre CC, Savasta M, Kerkerian-Le Goff L, Vitek JL. Uncovering the mechanism(s) of action of deep brain stimulation: Activation, inhibition, or both. Clin Neurophysiol 2004;115:1239-48. Ondo WG, Desaloms JM, Jankovic J, Grossman RG. Pallidotomy for generalized dystonia. Mov Disord 1998;13:693-8. Lai T, Lai JM, Grossman RG. Functional recovery after bilateral pallidotomy for the treatment of early-onset primary generalized dystonia. Arch Phys Med Rehabil 1999;80:1340-2. Horisawa S, Taira T, Goto S, Ochiai T, Nakajima T. Long-term improvement of musician's dystonia after stereotactic ventro-oral thalamotomy. Ann Neurol 2013;74:648-54. Horisawa S, Goto S, Nakajima T, Kawamata T, Taira T. Bilateral Stereotactic thalamotomy for bilateral musician's hand dystonia. World Neurosurg 2016;92:585.e 21-5. Hua Z, Guodong G, Qinchuan L, Yaqun Z, Qinfen W, Xuelian W. Analysis of complications of radiofrequency pallidotomy. Neurosurgery. 2003;52:89-101. Vitek JL, Chockkan V, Zhang JY, Kaneoke Y, Evatt M, DeLong MR,et al. Neuronal activity in the basal ganglia in patients with generalized dystonia and hemiballismus. Ann Neurol 1999;46:22-35. Svennilson E, Torvik A, Lowe R, Leksell L. Treatment of parkinsonism by stereotatic thermolesions in the pallidal region. A clinical evaluation of 81 cases. Acta Psychiatr Scand 1960;35:358-77. Su PC, Tseng HM, Liu HM, Yen RF, Liou HH. Subthalamotomy for advanced Parkinson disease. J Neurosurg. 2002;97:598-606. Patel NK, Heywood P, O'Sullivan K, McCarter R, Love S, Gill SS. Unilateral subthalamotomy in the treatment of Parkinson's disease. Brain 2003;126:1136-45. Guiot G, Derome P, Trigo JC. Le tremblement d'attitude. Indication la meilleure de la chirurgie ste'�reotaxique. Presse Med 1967;75:2513-18. Guiot G, Arfel G. Derôme P. La chirurgie ste'�reotaxique des tremblements de repos et d'attitude. Gaz Med France 1968;75:4029-56. Guiot G, Derome P, Arfel G, Walter S. Electrophysiological recordings in stereotaxic thalamotomy for parkinsonism. Prog Neurol Surg 1973;5:189-221. Benabid AL, Koudsie A, Benazzouz A, Le Bas JK, Pollak P. Imaging of subthalamic nucleus and ventralis intermedius of the thalamus. Mov Disord 2002;17 Suppl 3:S123-9. Schaltenbrand G, Wahren W. Atlas for stereotaxy of the human brain. 2nd ed. Stuttgart: Georg Thieme Verlag; 1977. Talairach J, David M, Tournoux P, Corredor H, Kvasina T. Atlas d'anatomie ste'�reotaxique des noyaux gris centraux. Paris: Masson; 1957.294. Dormont D, Seidenwurm D, Galanaud D, Cornu P, Yelnik J, Bardiner E. Neuroimaging and deep brain stimulation. AJNR Am J Neuroradiol 2010;3:15-23. Andrade-Souza YM, Schwalb JM, Hamani C, Eltahawy H, Hoque T, Saint-Cyr J, et al. Comparison of three methods of targeting the subthalamic nucleus for chronic stimulation in parkinson's disease. Neurosurgery 2005;56 (2 suppl):360-8. Hirabayashi H, Tengvar M, Hariz MI. Stereotactic imaging of the pallidal target. Mov Disord 2002;17 Suppl 3:S130-4. Lenz FA, Dostrovsky JO, Tasker RR, Yamashiro K, Kwan HC, Murphy JT. Single-unit analysis of the human ventral thalamic nuclear group: Somatosensory responses. J Neurophysiol 1988;59:299-316. Raeva SN. Localization in human thalamus of units triggered during 'verbal commands,' voluntary movements and tremor. Electroencephalogr Clin Neurophysiol 1986; 63:160-73. Lenz FA, Kwan HC, Dostrovsky JO, Tasker RR, Murphy JT, Lenz YE. Single unit analysis of the human ventral thalamic nuclear group. Activity correlated with movement. Brain 1990;113:1795-821. Hutchison WD, Allan RJ, Opitz H, Levy R, Dostovsky JO, Lang AE, et al. Neurophysiological identification of the subthalamic nucleus in surgery for parkinson's disease. Ann Neurol 1998;44:622-8. Lozano A, Hutchison W, Kiss Z, Tasker R, Davis K, Dostrovsky J. Methods for microelectrode-guided posteroventral pallidotomy. J Neurosurg 1996;84:194-202. Vitek JL, Bakay RA, Hashimoto T, Kaneoke Y, Mewes K, Zhang JY, et al. Microelectrode-guided pallidotomy: Technical approach and its application in medically intractable Parkinson's disease. J Neurosurg 1998;88:1027-43. Coubes P, Vayssiere N, El Fertit H, Hemm S, Cif L, Kienlen J, et al. Deep brain stimulation for dystonia. Surgical technique. Stereotact Funct Neurosurg 2002;78:183-91. Hiner B, Madden K, Neal J. Effect of microelectrode recording on final lesion placement in pallidotomy. AAN 1997;48(Suppl 2):A251. Azizi A, Goldman WH, Moreledge D. Posteroventral pallidotomy: Comparison of the accuracy of anatomical targets defined by MR and CT imaging with physiological targets defined by microelectrode recording. AAN 1996;46(Suppl):A199. Burchiel KJ. Thalamotomy for movement disorders. Neurosurg Clin N Am 1995;6:55-71. Kelly PJ, Ahlskog JE, Goerss SJ, Daube JR, Duffy JR, Kall BA. 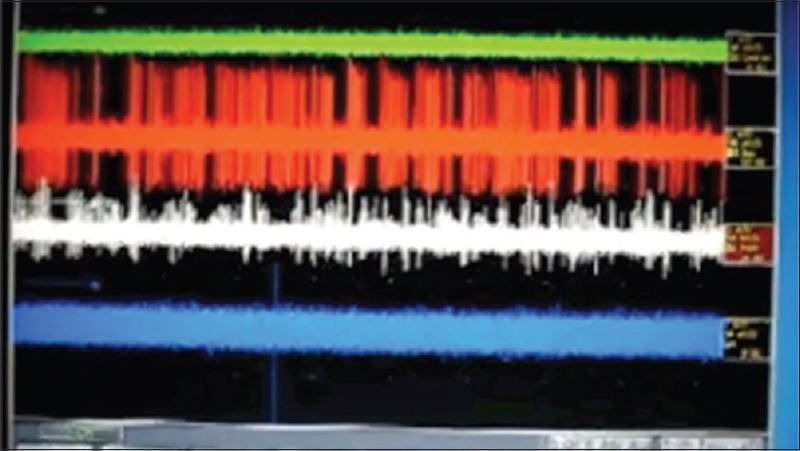 Computer-assisted stererotactic ventralis lateralis thlamatomy with microelectrode recording control in patients with Parkinson's disease. Mayo Clin Proc 1987;62:655-64. Fox MW, Ahlskog JE, Kelly PJ. Stererotactic ventrolateralis thalamotomy for medically refractory tremor in post-levodopa era Parkinson's disease patients. J Neurosurg 1991;75:723-30. Vilkki J, Laitinen LV. Effects of pulvinotomy and ventrolateral thlamatomy on some cognitive functions. Neuropsychologia 1976;14:67-78. Laitinen LV, Hariz MI. Movement Disorders. Youman's Neurological Surgery. 4th Edition. Philadelphia (PA): W.B. Saunders Company; 1996. Iacono RP, Shima F, Lonser RR, Kuniyoshi S, Maeda G, Yamada S. The results, indications, and physiology of posteroventral pallidotomy for patients with Parkinson's disease. Neurosurgery 1995;36:1118-27. Obeso I, Casabona E, Rodríguez-Rojas R, Bringas ML, Macías R, Pavón N, et al. Unilateral subthalamotomy in Parkinson's disease: Cognitive, psychiatric and neuroimaging changes. Cortex 2017. 27;94:39-48. Alvarez L, Macias R, Lopez G, Alvarez E, Pavon N, Rodriguez-Oroz MC, et al. Bilateral subthalamotomy in Parkinson's disease: Initial and long-term response. Brain 2005;128:570-83. Chen CC, Lee ST, Wu T, Chen CJ, Huang CC, Lu CS. 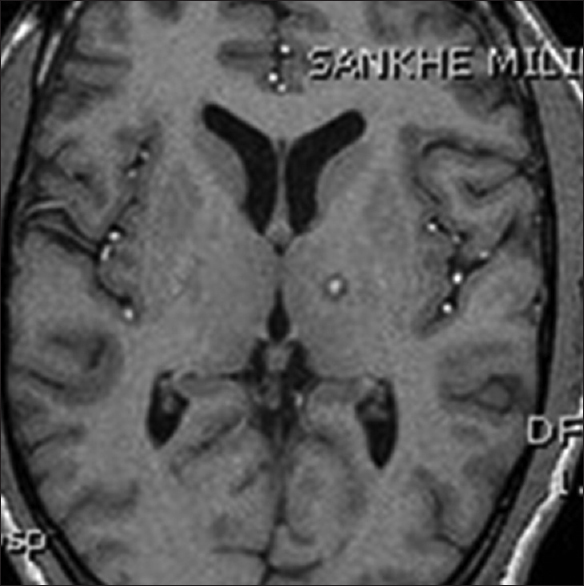 Hemiballism after subthalamotomy in patients with Parkinson's disease: Report of 2 cases. Mov Disord 2002;17:1367-71. 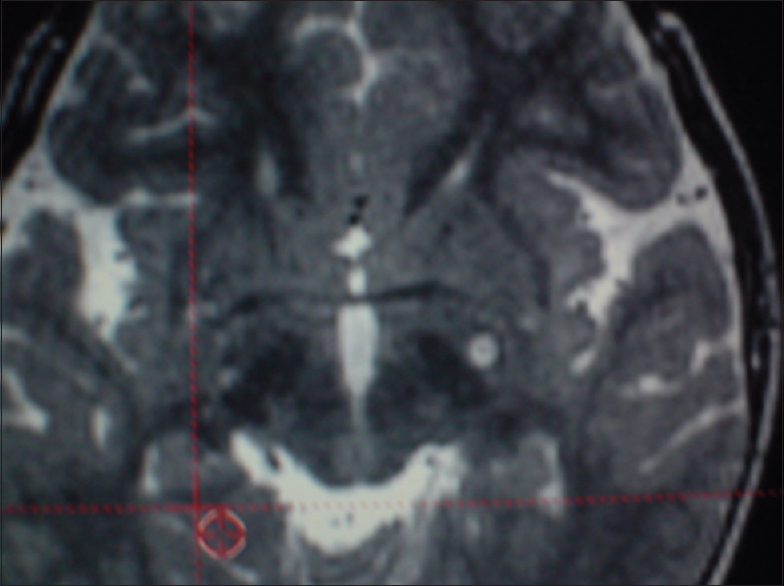 Doshi P, Bhatt M. Hemiballism during subthalamic nucleus lesioning. Mov Disord 2002;17:848-9. Tseng HM, Su PC, Liu HM. Persistent hemiballism after subthalamotomy: The size of the lesion matters more than the location. Mov Disord 2003;18:1209-11. Baron MS, Sidibe M, DeLong MR, Smith Y. Course of motor and associative pallidothalamic projections in monkeys. J Comp Neurol 2001;429:490-501. Hamani C, Saint-Cyr JA, Fraser J, Kaplitt M, Lozano AM. The subthalamic nucleus in the context of movement disorders. Brain 2003;127:4-20. Blomstedt P, Taira T, Hariz M. Rescue pallidotomy for dystonia through implanted deep brain stimulation electrode. Surg Neurol Int 2016; 7(Suppl 35):S815-7. Oh MY, Hodaie M, Kim SH, Alkhani A, Lang AE, Lozano AM. Deep brain stimulator electrodes used for lesioning: Proof of principle. Neurosurgery 2001;49:363-7. Oh MY, Abosch A, Kim SH, Lang AE, Lozano AM. Long-term hardware related complications of deep brain stimulation. Neurosurgery 2002;50:1268-76.
Cooper IS. Anterior choroidal artery ligation for involuntary movements. Science 1953;118:193.
Cooper IS. Chemopallidectomy and chemothalamectomy for parkinsonism and dystonia. Proc R Soc Med 1959;52:47-60.
Cooper IS. Chemopallidectomy: An investigative technique in geriatric parkinsonians. Science 1955;121:217-18.
Cooper IS. Chemosurgery for parkinsonism. Med Sci 1958;3:524-7. Narabayashi H, Okuma T. Procaine-oil blocking of the globus pallidus for the treatment of rigidity and tremor of parkinsonism. Proc Jpn Acad 1953;29:134-7.
Cooper IS. A cryogenic method for physiologic inhibition and production of lesions in the brain. J Neurosurg 1962;19:853-8.
Cooper IS. Cryogenic surgery of the basal ganglia. JAMA 1962;181:600-4. Aronow S. The use of radio-frequency power in making lesions in the brain. J Neurosurg 1960;17:431-8. Duma CM, Jacques D, Kopyov OV. The treatment of movement disorders using Gamma Knife stereotactic radiosurgery. Neurosurg Clin N Am 1999;10:379-89. Young RF, Shumway-Cook A, Vermeulen SS, Grimm P, Blasko J, Posewitz A, et al. Gamma knife radiosurgery as a lesioning technique in movement disorder surgery. J Neurosurg 1998;89(2):183-93. Young RF, Li F, Vermeulen S, Meier R. Gamma knife thalamotomy for treatment of essential tremor: long-term results. J Neurosurg 2010;112:1311-7. Kondziolka D, Ong JG, Lee JY, Moore RY, Flickinger JC, Lunsford LD. Gamma knife thalamotomy for essential tremor. J Neurosurg 2008;108:111-7. Niranjan A, Jawahar A, Kondziolka D, Lunsford LD. A comparison of surgical approaches for the management of tremor: Radiofrequency thalamotomy, gamma knife thalamotomy and thalamic stimulation. Stereotact Funct Neurosurg 1999;72:178-84. Young RF, Vermeulen S, Posewitz A, Shumway-Cook A. Pallidotomy with the gamma knife: A positive experience. Stereotact Funct Neurosurg 1998;70(Suppl 1):218-28. Lipsman N, Schwartz ML, Huang Y, Lee L, Sankar T, Chapman M, et al. MR-guided focused ultrasound thalamotomy for essential tremor: a proof-of-concept study. Lancet Neurol 2013;12:462-8. Chang WS, Jung HH, Kweon EJ, Zadicario E, Rachmilevitch I, Chang JW. Unilateral magnetic resonance guided focused ultrasound thalamotomy for essential tremor: Practices and clinicoradiological outcomes. J Neurol Neurosurg Psychiatry 2015;86:257-64. Alterman RL. One step backward: Magnetic resonance guided focused ultrasound thalamotomy for the treatment of medically refractory tremor. Ann Neurol 2017;81:348-50.